Black Leopards to host Bidvest Wits in Nedbank Cup Challenge - SABC News - Breaking news, special reports, world, business, sport coverage of all South African current events. Africa's news leader. 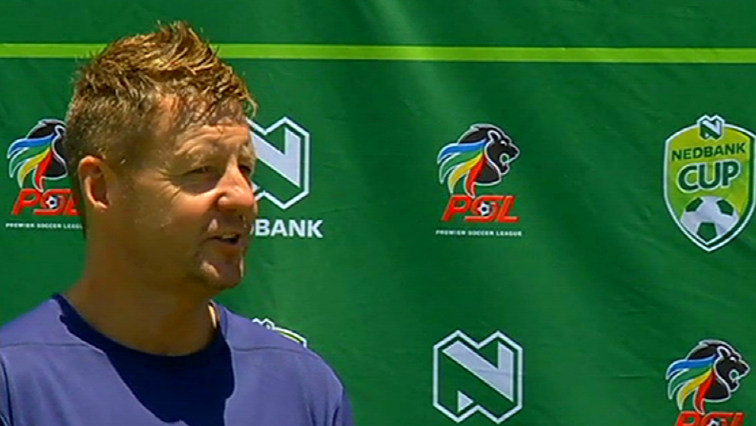 Kerr has hailed his players for resilience following their defeat by Bloemfontein Celtic and Mamelodi Sundowns. Black Leopards coach Dylan Kerr is confident they will win against Bidvest Wits in the Nedbank Challenge on Wednesday in Thohoyandou. The Limpopo-based team will lock horns with PSL log leaders, Bidvest Wits in the Nedbank Cup in Thohoyandou on Wednesday. Kerr says the absence of some key players is going to affect their performance negatively. Khuliso Mudau will not be playing against due to suspension and Pentjie Zulu is also out for the game. Kerr says Tshwarelo Bereng who is nursing an injury is recovering well. Black Leopards players are confident that they will use the home advantage against Bidvest Wits to win. “Lidoda Duvha” will be boosted by the return to action of influential player, Lehlohonolo Masalesa this Wednesday. Leopards Midfielder, Lesedi Kapinga says they are confident they will win the match. It remains to be seen on Wednesday whether Black Leopards will improve their performance, while Braamfontein based Wits are desperate to win after their 2-1 loss to Highlands Park over the weekend. This entry was posted on 11 Feb 2019,07:33PM at 7:33 PM and is filed under Sport. You can follow any responses to this entry through the RSS 2.0 feed. Both comments and pings are currently closed.